Our firm was approached by a medical doctor with a specialty in debilitating multiple chemical sensitivities (MCS). 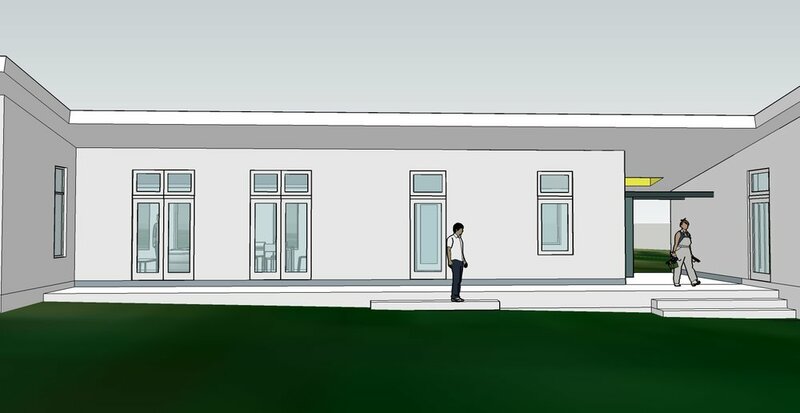 He wanted to design a building that would be as neutral as it could be for a person with this condition. He himself suffers from MCS and wanted to build a house for his own family as well as develop an affordable model building system for people with similar conditions. What we learn from his house will help us to construct a safe compound of units for the detoxification of his patients. 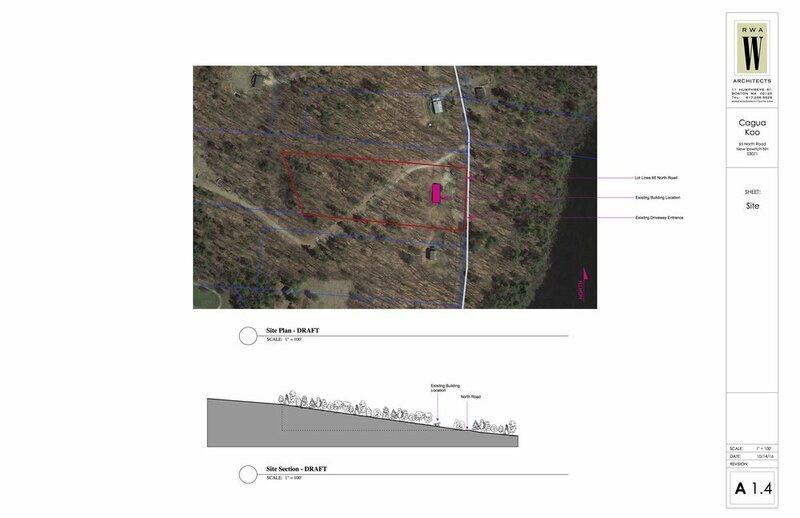 We reviewed a number of building sites around Boston and finally located an ideal spot on a hilltop in New Ipswitch NH. After exploring numerous building systems the house will be built to near Passive House standards including prefabricated 10 and 12 inch thick stainless steel clad Structural Insulated Panels (SIPs), polished concrete and Magnesium Oxide floors, limited electro magnetic field conduction, moisture control, limited fuel for mold growth and materials with minimal off gassing. The house is presently in the construction document phase with construction to begin in Winter 2017.